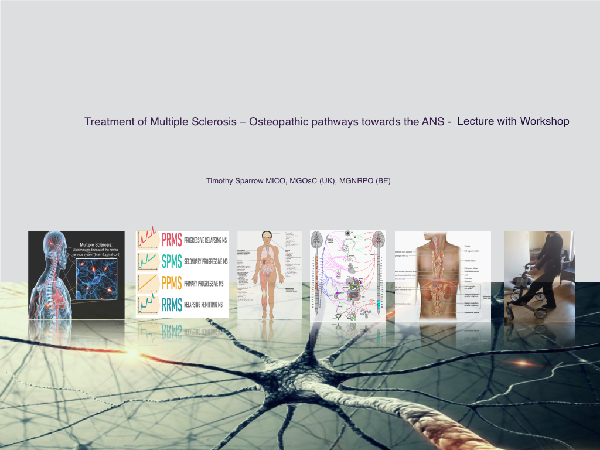 Here are four examples of Osteopathic lectures in the lecture series provided by Tim Sparrow DO . 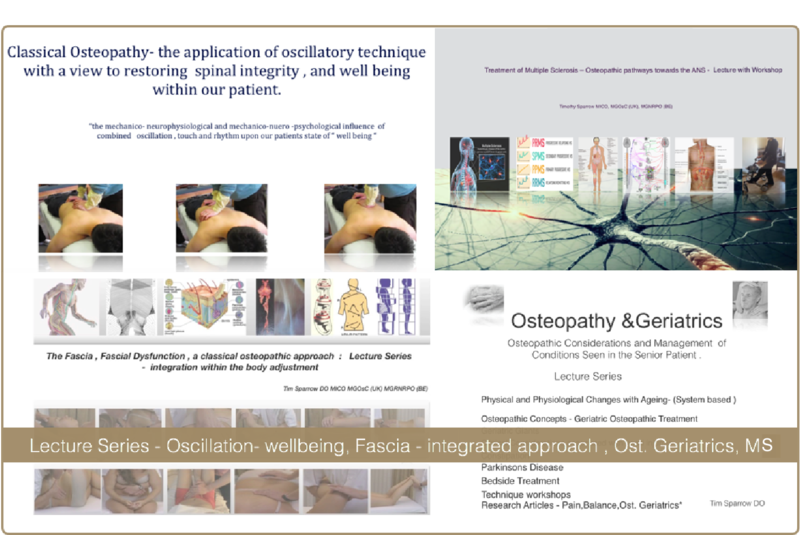 Each lecture builds upon the foundation of the writings and applied techniques of J.M.Littlejohn , A,T,Stills colleague and founder of the British School of Osteopathy ,Uk and one of its first graduates , John Wernahm DO and colleague T.E. Hall . 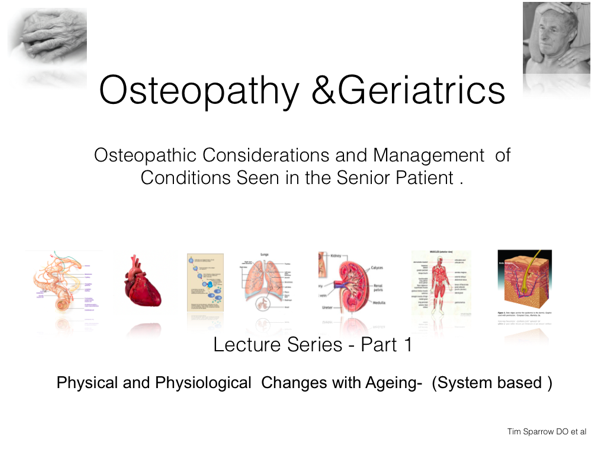 Each lecture provides a connection between the classical osteopathic philosphy of the 19oos with contemporary environment of todays osteopathy , with appropriate reference to Ost. research, where possible. 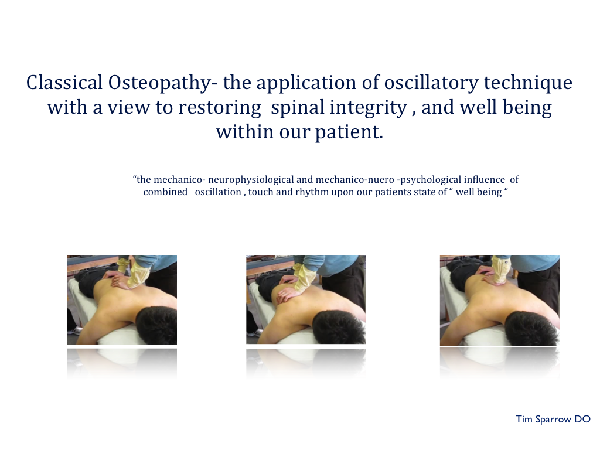 Tim qualified in 1990 from the Maidstone College of Osteopathy and then worked as Co-principal at the John Wernham Academy of Osteopathy in Belgium until 1995 and in private practice in the UK until 2000 . He was part of the team responsible for establishing and developing the Bsc of Ost . Medicine courses and research at the the Surrey Institute of Osteopathic Medicine (UK) . "Integrating the philosphy and applied technique of the founders and pioneers of osteopathy in todays lecture- workshop environment ". Your interest and questions are valuable to us .. we shall be in contact very soon ..